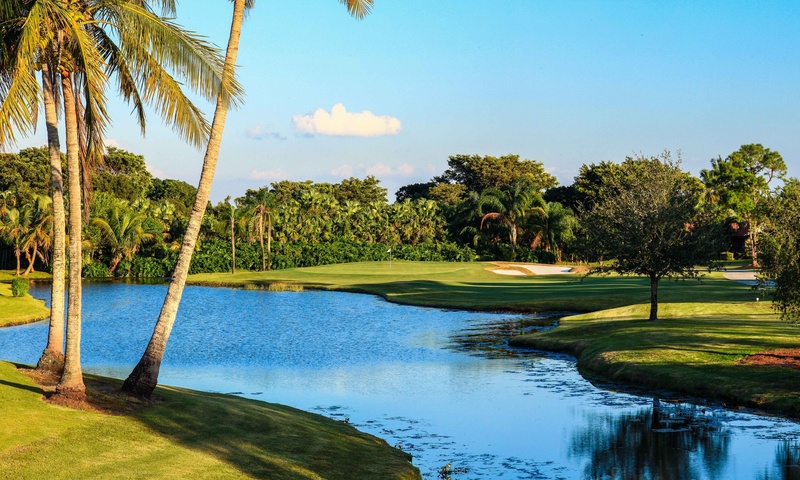 The PGA National Resort & Spa in Palm Beach Gardens, Florida, offers top class golf on five championship courses, fun service spa, tennis, fitness and much more. As venue for the Honda Classic on the PGA Tour this is one of the top golf resorts in America. There are five golf courses at the PGA National Resort. 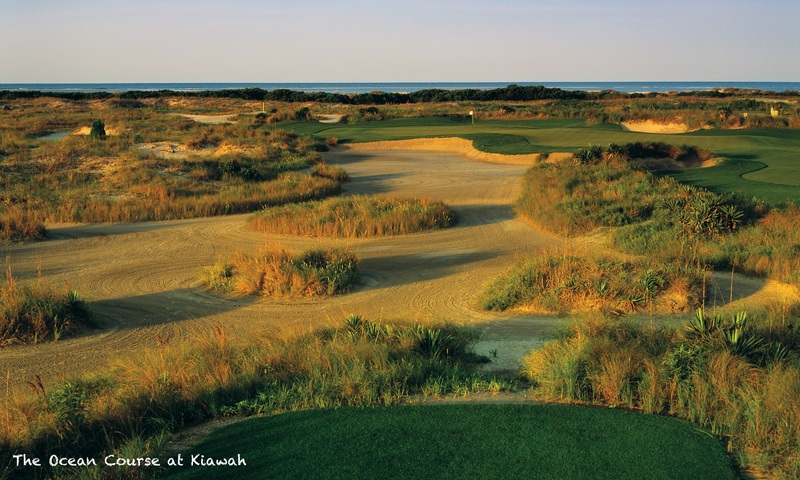 The Jack Nicklaus designed Champion’s Course is recognised as the toughest course in Florida by the PGA Tour. As the venue of the Honda Classic it has one of the most recognisable finishing stretches in the US, the Bear Trap challenges the best, how will you fare? The other four courses are The Fazio, Palmer, Squire and Estates Courses. There is a wide range of accommodation at The PGA National Resort & Spa with a range of luxury suites, golf resort villas and guestrooms. All rooms have 42-inch flat-screen televisions, and iPod docking stations. Guestrooms provide an ideal escape, but for more room, consider one of our Junior Suites to add dining and living space, including a pull-out sofa. each unit has a private balcony or terrace. Presidential Suite guests enjoy an iconic PGA National Resort view, a panorama of The Champion’s 18th hole, plus two private balconies from which to appreciate it. The signature restaurant at PGA National Resort & Spa is Ironwood Steak & Seafood, just one of two Palm Beach restaurants to earn the Wine Spectator 2012 Award of Excellence. iBar offers a popular happy hour, culinary creations, cocktails backed by live music and other social events. There are nine dining options in total including Bar 91, Palm Terrace, Waters of the World Café, Wave Bar & Grill, Cafe:Pronto and the mobile PGA Itruck. The Spa at PGA is a full-service spa and salon presenting more than 100 ways to indulge. And while you’ll find all of the body and beauty treatments you’d expect from a luxury spa, you’ll find plenty of surprises here, too – including treatments based on their Waters of the World mineral pools, therapies rooted in global healing practices and special treatments such as the Deep Cleansing Marine Facial. The PGA National Sports & Racquet Club features a 33,000 square foot private club with the latest in innovative equipment, training rooms, an indoor racquetball court which can be converted into an indoor volleyball court, a five-lane saltwater lap pool, a spin cycle room with video monitors, 2 pickle/paddle ball courts, 18 Har-Tru tennis courts and a full size hard court. You can shop on-site for golf, tennis and fitness wear as well as gifts, whilst there is a wealth of quality shopping nearby in Palm Beach Gardens. There is also a large outdoor pool complex at the resort. Beach access and waterspouts facilities are plentiful nearby including Blowing Rocks Preserve, Burt Reynolds Park, Carlin Park and Juno Beach Park & Fishing Pier.